David Wangler, president of Trimble Transportation Enterprise, died suddenly April 26. He was 56. 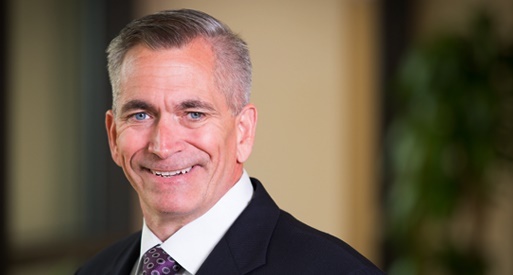 Wangler joined TMW Systems as CEO in 2006, bringing more than two decades of experience in the supply chain and manufacturing software arena, having most recently served as president and CEO of Bedford, Mass.-based SupplyWorks Inc. Under his leadership, TMW acquired a number of other fleet management software companies, such as Maddocks Systems, TMT Software, IDSC, and Innovative Computing Corp. TMW was purchased by Trimble in 2012. Last year, Trimble created two divisions as part of its transportation segment, Trimble Transportation Mobility and Trimble Transportation Enterprise, to address the changing marketplace. Wangler was tapped to lead the Trimble Transportation Enterprise division, comprising TMW Systems and ALK Technologies. Visitation is Wednesday, May 2, 4-8 p.m. The funeral will be held Thursday, May 3, at 10 a.m., with reception afterwards. Both will be at Kindrich-McHugh Steinbauer Funeral Home in Solon, Ohio. Any donations should be directed to Catholic Charities.